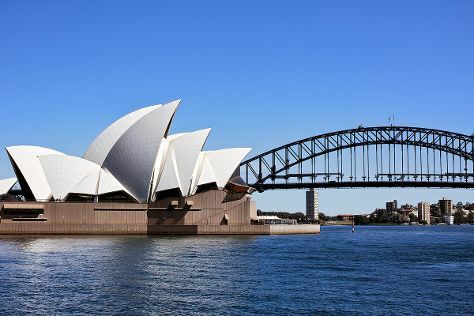 On the 19th (Fri), take a stroll through The Rocks, then take in the views from Sydney Harbour Bridge, then enjoy some music at Sydney Opera House, and finally take in nature's colorful creations at Royal Botanic Garden Sydney. To see where to stay, maps, reviews, and other tourist information, use the Sydney trip planning site . Use the Route module to see travel options from your home to Sydney. In April, daily temperatures in Sydney can reach 26°C, while at night they dip to 17°C. Cap off your sightseeing on the 19th (Fri) early enough to go by car to Canberra. 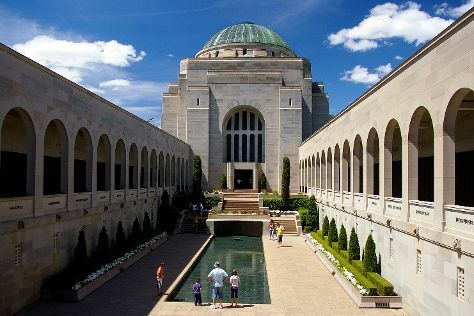 On the 20th (Sat), get engrossed in the history at Australian War Memorial, explore the activities along Lake Burley Griffin, then admire the masterpieces at National Gallery of Australia, and finally ponder the world of politics at Parliament of Australia. To see photos, ratings, other places to visit, and more tourist information, read Canberra planner . Getting from Sydney to Canberra by car takes about 3.5 hours. Other options: fly; or take a bus. Traveling from Sydney in April, expect a bit cooler with lows of 7°C in Canberra. Finish up your sightseeing early on the 20th (Sat) so you can go by car back home.